Jeff studied glass at the Alberta College of Art and Design (ACAD) in Calgary, Alberta from 1990-94. He currently works as an instructor at Red Deer College’s summer program. He has also taught at ACAD in Calgary, Penland School of Crafts in North Carolina, and Pilchuk Glass School in Stanwood Washington. 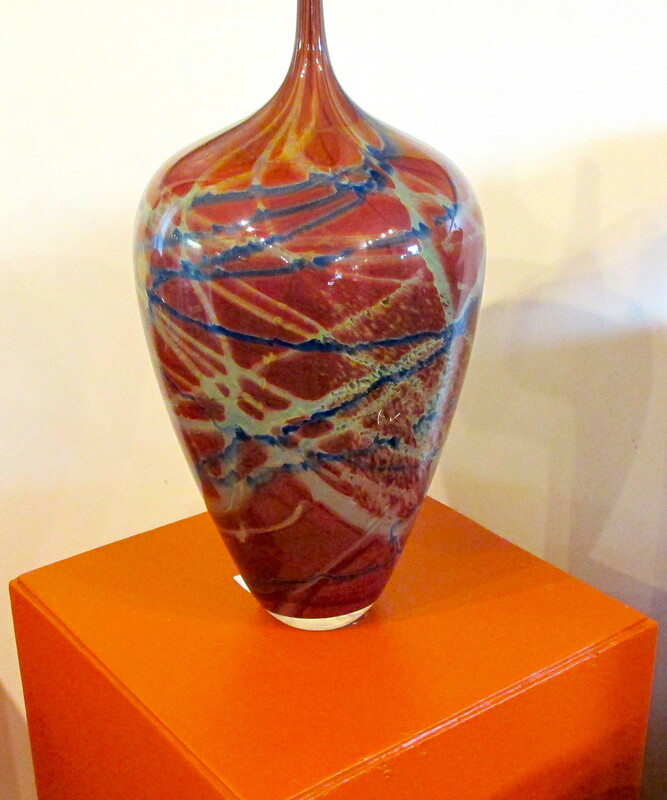 Jeff’s Electric Kool-Aid Series, based on Murrini (mosaic) glass ,placed second in a contest at the 1994 Glass Art Society conference in San Francisco. Murrine work remains a key component of Jeff’s work. Jeff’s first solo show “Kinetic Glass” at the Devonian Gardens, Calgary, Alberta in 1996 included a blown glass water wheel and hot sculpted “Monsters” in the ponds and gardens. Recent work includes the “Forged Blown” series which incorporates blown glass with forged steel and the “Cubist Lamp/Vase” series based on stacked blown forms. Jeff moved to Edmonton, Alberta in 2001 where he opened Edmonton’s first Hot Shop. The studio operates as an open studio with classes and rental time for Edmonton’s burgeoning glass community. Jeff exhibits nationally and internationally and his work is included in the Alberta Foundation for the Arts permanent collection.